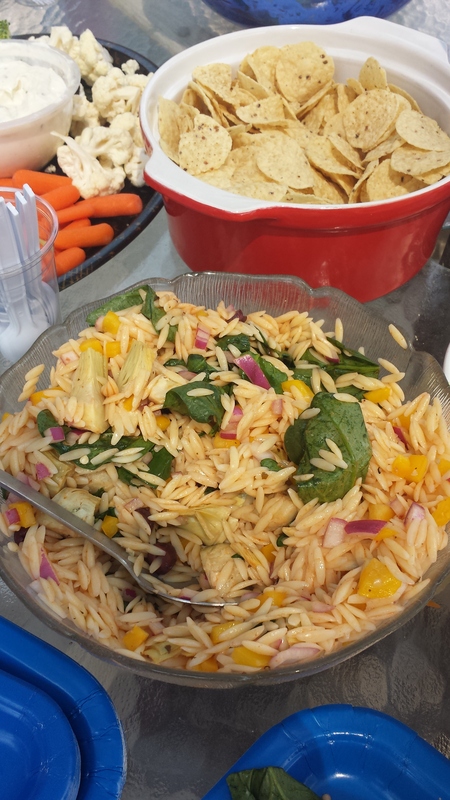 As alluded to in my previous post, here are some recipes and a few pics I managed to snap of the delicious salads that were made and served by my super-awesome sister, for her dad’s birthday party this past weekend. I hope you feel inspired to try them! Steam or boil new potatoes in lightly salted water until they are just fork-tender; do not overcook. Drain potatoes and let cool. Mix mayonnaise, chives and vinegar in large bowl until blended. ADD cooled potatoes and remaining ingredients; toss to coat. Serve immediately. 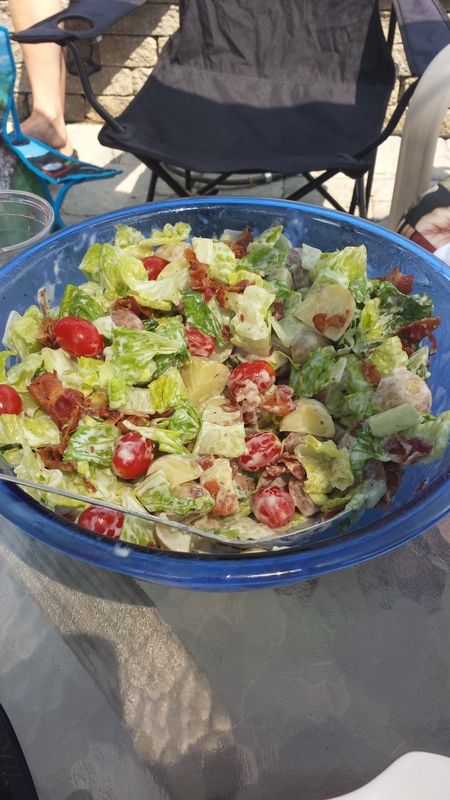 To Make Ahead: Prepare salad as directed, with the exception of the lettuce. Refrigerate up to 24 hours. Toss with lettuce just before serving. Boil orzo as directed on package, omitting salt; drain and rinse until cool. Place in large bowl. Whisk dressing, herbs and lemon juice until blended. Add to orzo with remaining ingredients; mix lightly. Refrigerate salad 1 hour prior to serving.